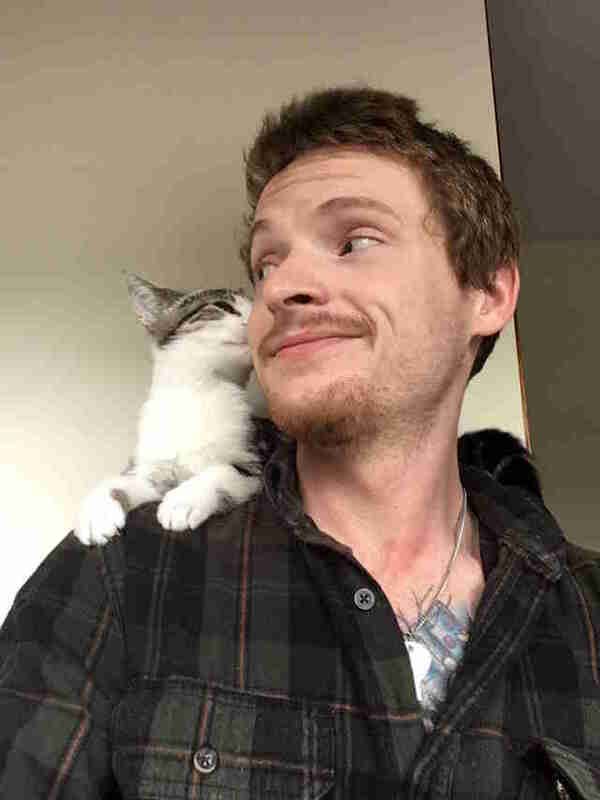 Larry Ritchie has never really considered himself a cat person. 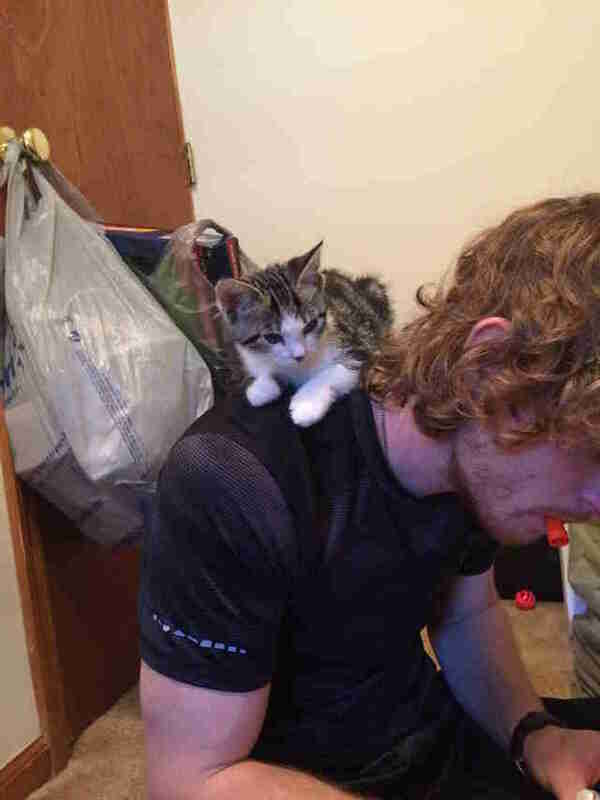 About a month ago, he and his girlfriend were walking through their local SPCA and she asked him multiple times if he would be willing to adopt a kitten. 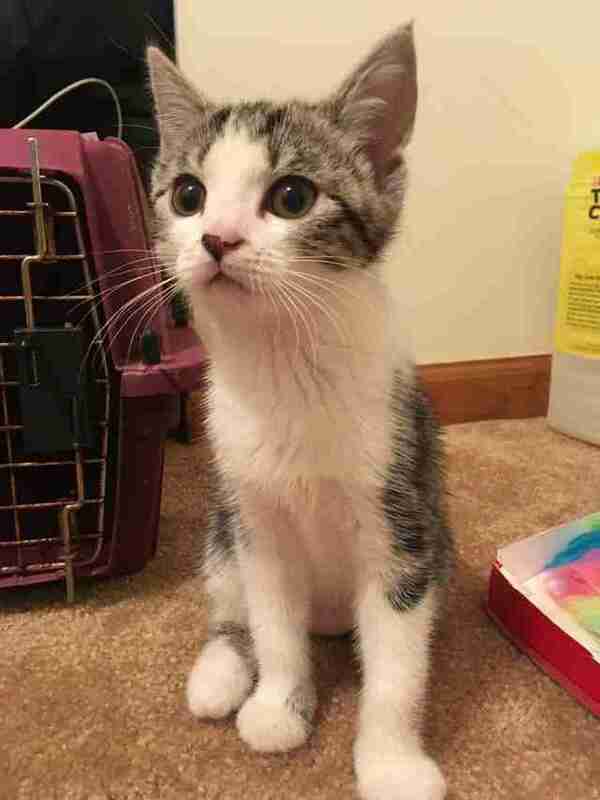 Every time he said no — but one of the kittens at the shelter that day had other plans. 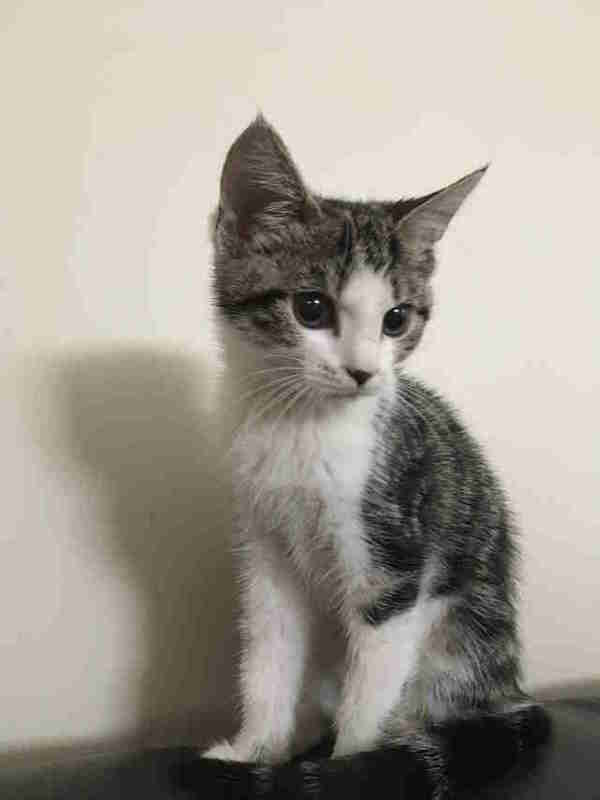 Nirvana had been abandoned in a box outside the shelter with her siblings when she was just a few months old. As the staffers at the shelter got to know her, they found that she wasn’t a huge fan of being held and was a little nervous around new people, but all of that changed as soon as she met Ritchie and his girlfriend. As soon as Nirvana met the couple, she warmed up to them immediately, and everyone who had worked with the kitten and knew her personality was shocked. “She sat and purred in my lap as the lady said, ‘How? She won’t let anyone hold her!’ I knew I wanted her then,” Ritchie said. Even though Nirvana made a strong case trying to change Ritchie’s mind about cats, he and his girlfriend left the shelter without her — but Ritchie soon realized that he’d made a mistake, and that she was meant to be their kitten. The couple contacted the shelter to say they wanted to adopt Nirvana after all, then waited to hear back, hoping for good news. They hoped they weren’t too late, but as it turned out, Nirvana was always meant to be their kitten. The couple rushed back to the shelter to pick up their new family member, and not only did Nirvana remember them, but she was just as overjoyed to see them as they were to see her. 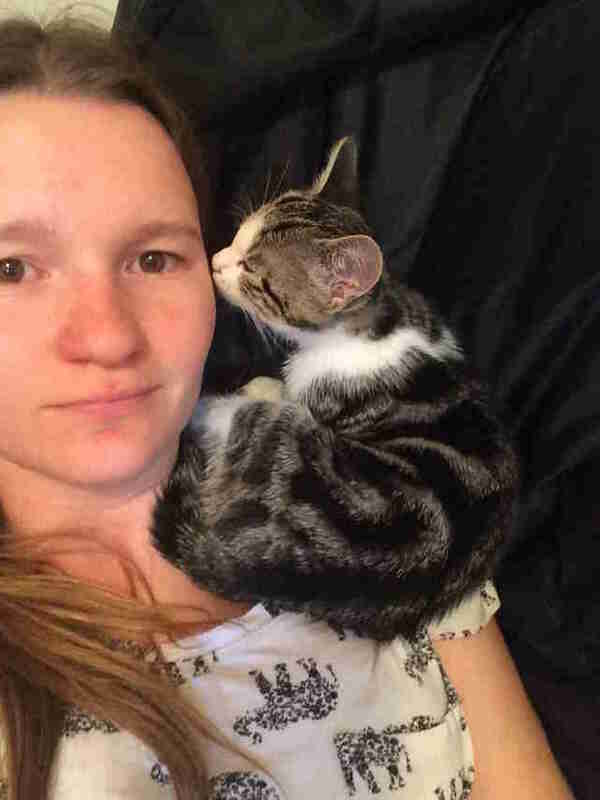 “She would not stop meowing even after I had picked her up,” Ritchie said. Now, Nirvana is settling in wonderfully at her new home. She gets along so well with her dog siblings and loves her new parents so much — especially her dad, who, thanks to her, is now officially a cat person.